It's almost Halloween, so what are you planning? 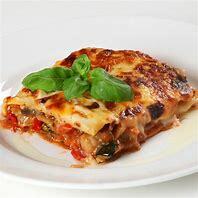 There seems to be plenty of costumes, scary masks and broomsticks in the shops to help you to make the 31st October a fun day, but what about food? I've had a look around and with the help of the food business, come up with some suggestions for scary treats to accompany those pointy hats and cloaks. See what takes your fancy! 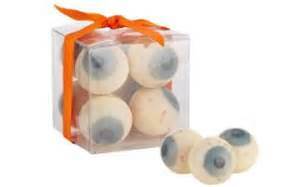 These chocolate eyeballs (above) are excellent for scarring trick-or-treaters when they knock on your door. Only £6.95 from Harrods. 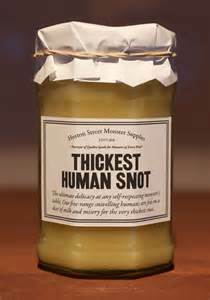 The prize for the most disgusting product goes to Harvey Nichols who are selling a jar of 'human snot'. Well, its actually lemon curd, but I am sure that you can 'kid' the kids! A treat at only £7.50 a jar. The spooky section at Mark & Spencer is already full of vampire fang crisps and ginger bread mummies but the best of all are their cute meringue ghosts at £2 for a pack of nine. 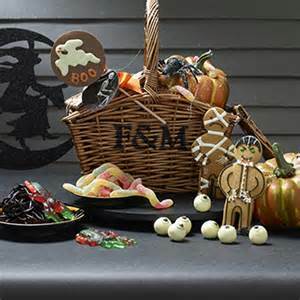 For a delightfully wicked idea, why not try Fortnum & Mason's ghoulish Halloween hampers in shades of orange and black.They are available online with a delivery charge of £4.95. Delivered within 3 working days. 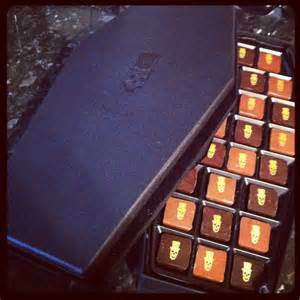 Hotel Chocolat has a range of special gifts including a coffin-shaped box lined with black satin. Thankfully there is no vampire inside, just pralines and truffles, embossed with golden skulls. Not cheap though - £50. The London shop, The Biscuiteers sells wonderful spooky biscuit tins like the Scooby Doo- themed box at £35. It is available online. I love Soreen loaves and the Halloween versions come in chocolate and blood orange or toffee apple flavours. 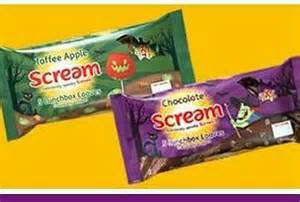 I will be screaming for more as Halloween is my birthday too and they are only £1.35 from the local supermarket nationwide. 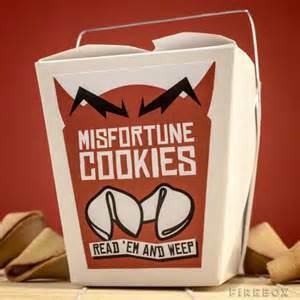 Fortune cookies are usually a fun way to end a special meal, but Misfortune Cookies are a rather gloomier affair. 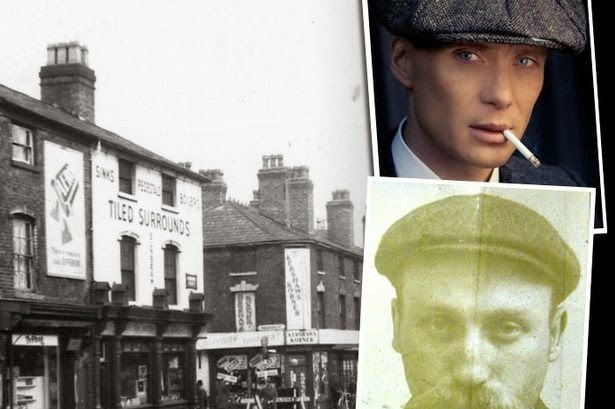 Typical messages include - ''Someone has to say it: it's not going to happen for you'' and ''it could be worse - you could have syphilis''. These are perfect for your Halloween party and you can get them from both Harods and Selfridges online for £10 for a box of 13. 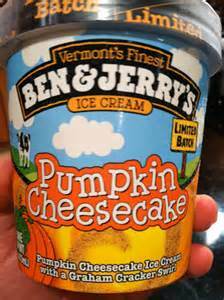 Ben and Jerry's lightly spices 'Pumpkin Cheesecake' ice cream is a sure way to get in the mood for a creepy night in, at £4.99. Most of the main supermarket stock this delightful ice cream. 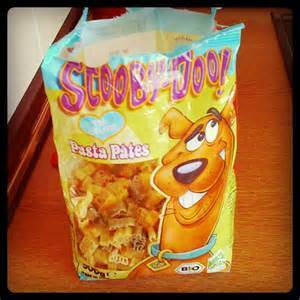 And don't forget your pets at Halloween - Asda has a whole range of 'Scooby snacks' for the scary season.